Dr. Mady and his team believe that it is all about listening to the patient. He believes in spending more time with them in order to properly devise solutions that fit their desires. His philosophy stems from “knowing the patient” and understanding their concerns. He believes that everyone deserves a beautiful smile and a healthy mouth, and encourages patients to perform appropriate preventative care so that they can keep their teeth healthy and cavity-free throughout their lives. With his commitment to excellence, Dr. Mady strives every day to provide comprehensive quality patient care with a professional and personal touch. Dr. Mady has had a great journey to settle down in the Northern Virginia Area. His first dental degree was a Bachelor of Dental Medicine and Surgery (BDS) in 1999 from Alexandria, Egypt. Various clinical rotations to follow, then he went on to practice all aspects of dentistry to remote and underserved populations for several years. He then earned his second degree of Doctor of Dental Surgery (DDS) in 2006 from the University of Illinois at Chicago as part of an International Dentist program with emphasis on Cosmetic and Prosthetic rehabilitation. Dr. Mady has had advanced dental training in various aspects of dentistry including Orthodontics and Dental implants. He has maintained an average of 100+ advanced dental continuing education seminars and courses every year while in private practice. 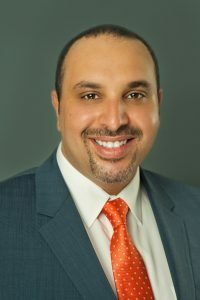 He is a graduate of numerous advanced dental institutes including; The Dawson Academy, United States Dental Institute and Georgia Regents University / Maxi Implant course of the American Academy of Implant Dentistry. Dr. Mady is also a Fellow of the Academy of General Dentistry (FAGD). When not in the dental office, Dr. Mady and his wife love to travel all around the world. He is also a huge soccer fan!